A discharged Recreational Vehicle battery or any energy source that gets used up quickly can be a huge problem for RV owners. 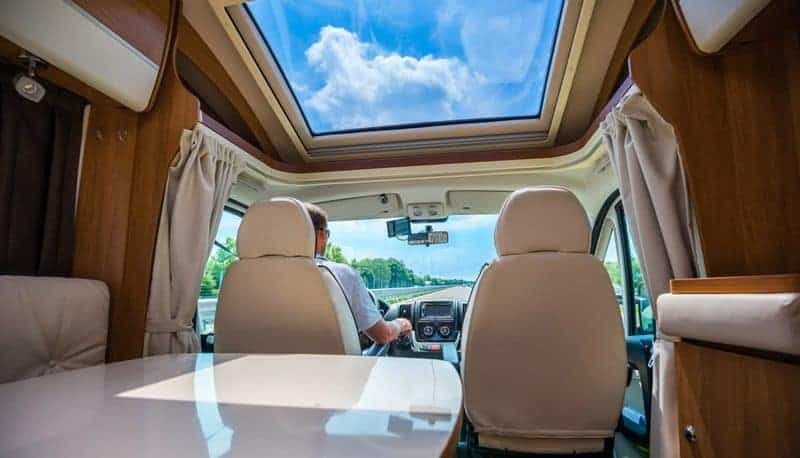 It can ruin the hassle-free experience that your RV promises and at the same time limit its functionality. 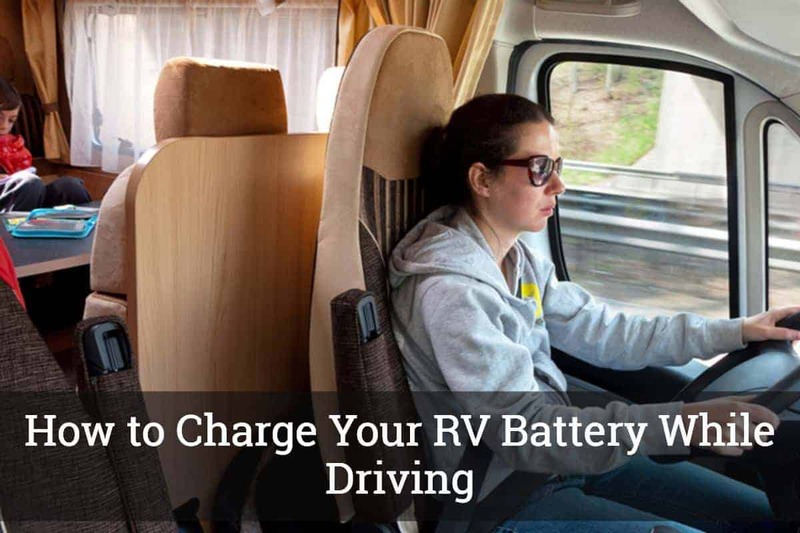 To help newbie RV owners overcome this issue here some information you need to know on how to charge RV battery while driving. But before we go there, you must familiarize yourself with some vital information about the battery of your camper or mobile home. You first need to know the important features and characteristics about your RV’s battery in order to unleash its maximum potential. How do you charge your RV battery while driving? Your Recreational Vehicle house battery is a 12 volt power system. It generally supplies the energy that to your mobile home needs. It is a deep cycle battery that is designed to store huge amounts of energy, making it effective in providing the energy that your RV requires. It is the heart of your RV, pumping energy to your mobile rig and allows all the electrical appliances and devices to fully work efficiently. Without your 12 volt RV battery, your devices will not function, save for RVs with alternative source like a solar panel and wind power source. But then, even those with alternative power source will sometimes need a battery to quick start or boost the energy need of your RVs. With the RV battery on the sideline, all the comfort and convenience that your RV promises will be eliminated. To keep your RV battery always in tip top shape, you must store it correctly and properly. When your mobile home is going to stay at your garage for a long time, normally, your RV battery will also be left unused for the entire, say winter. It will sit there unused until such time you are ready to use your RV again. So, you must know how to keep your RV battery the right way. 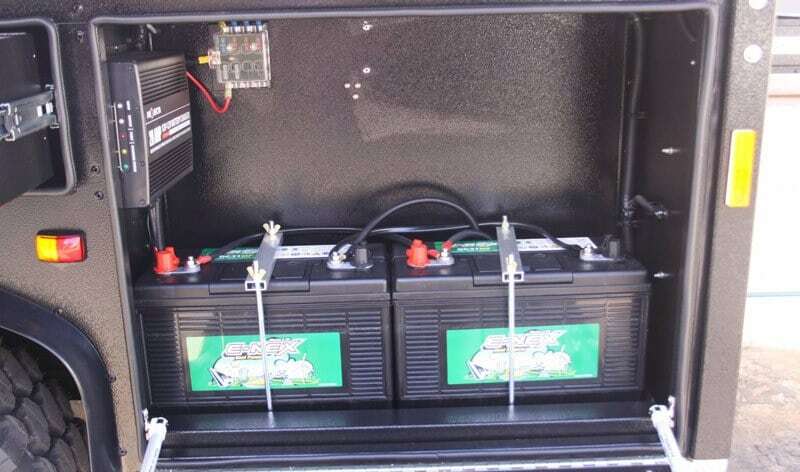 RV batteries usually self-discharge when left idle and unused for a long period of time. This process however is dependent on the condition of the weather and the type or kind of battery you have. Thus, it is important to learn and know the right way to store your battery. This will keep your battery from being unresponsive, capable of storing huge energy and at the same time extend its battery life. Before you store your RV battery, charge it to a 100 percent. Then, disconnect your battery from the vehicle to avoid any parasitic loads like watches, stereo, TV antenna power booster and alarms. After which, remove all grimes, corrosion and residues, and always wipe dry the top of your RV battery. This will eliminate the possibility of being discharged or remove discharge paths. Use a wire brush when the terminals are fully corroded. Check the electrolyte levels and replenish the distilled fluids when needed. Keep the water level at 90 percent otherwise it will expand when charged and overflow. Store your battery in a cool, dry place, with temperature not lower than 32°F (0°C) or higher than 80°F (27°C). When your RV battery gets frozen, never ever attempt to charge it – It will definitely explode. And not only do you need to get a new battery, you may end up getting hurt too. Make sure that the location you choose to store your RV battery does not get flooded too. Remember, when you are going to store your RV battery for a long period of time, make sure to check it regularly and recharge it at least once a week. After familiarizing yourself with your RV battery, you need to learn how to charge your RV battery while driving. You need to know the right approach and enjoy your road trip or camping more. First off, start with the Voltage Controlled Relay or VCR. Organize the connections where the relay disconnects and parallels the start and auxiliary batteries instantly. VCRs automatically disconnects and parallels your auxiliary and start batteries. When your relay is closed, the two batteries are paralleled. When the truck starts, the relay opens. Then the trailer and truck batteries become disconnected when you turn the truck off, putting the voltage to a preset level. Connect your RV battery to your vehicles’ power source, which is a battery too. It is strongly advised that you use high-quality plugs and cables when using this process. These high-end plugs and cables are capable of carrying huge amount of energy, provide a more reliable and stable connections and greatly reduces voltage drop while maximizing the charging process of your RV battery. Moreover, having a stable and secure connection will keep it from being disconnected while traversing a rough terrain when going to your destination. 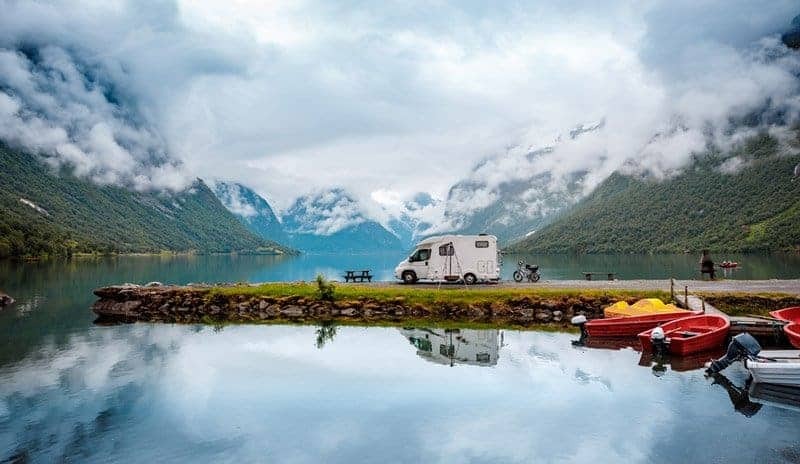 Make sure you have securely connected your RV battery to your truck’s battery otherwise you will end up having a depleted RV battery on your camping trip. Consider also using rubber boots slip on the breakers in order to insulate from any short circuits. A 50amp automatic reset circuit breaker which you can put on the positive side can eliminate any possible fire hazards. Do not overcharge the battery of your RV. When you accidently overcharge your RV battery, always inspect the level of the electrolytes and add distilled water when needed. Check your batteries frequently especially during extreme weather conditions. Charging the battery of your recreational vehicle is not a daunting task. Follow the basic steps and you can now recharge the house battery while driving to your destination. You can also use this concept when your RV is being towed. You just make sure that you have completely comprehended the vital characteristics of charging your battery while driving. And while you are at it, always remember to get yourself a reliable, high-quality plugs and cables in order to have a more secured connection, full energy transfer and reduce the incidence of voltage drop.